doTERRA Essential Oils Review and GIVEAWAY! Essential Oils are highly concentrated plant extracts that are 50 to 70 times more powerful than herbs. In fact, a single drop of peppermint oil is equal to 28 cups of peppermint tea! They have a wide range of uses; from foods, to natural health solutions, to cosmetics and more. They are a safe, affordable, and effective alternative to synthetic drugs. Essential Oils are the inspiration for many lotions, perfumes, and air fresheners, but did you know many pharmaceutical drugs are also inspired by Essential Oils? 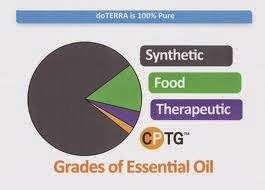 doTERRA Essential Oils are Certified Pure Therapeutic Grade (CPTG). They are subjected to rigorous 3rd party Mass Spectrometry and Gas Chromatography testing to ensure purity and potency. They are guaranteed to be pure, natural, and free of synthetic compounds. 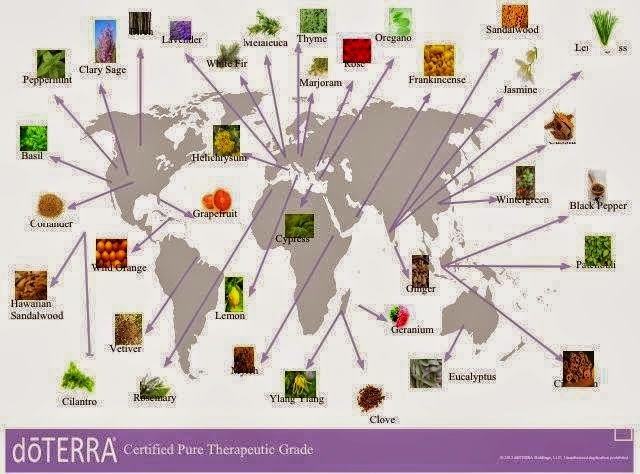 To ensure quality doTERRA Essential Oils are also sourced from their native origins. Frankincense, for example, is sourced from Oman, Lavender from France. 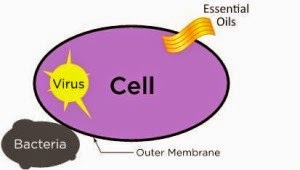 One of the most exciting things about Essential Oils is their ability to pass through the cell membrane, making them effective at fighting both bacteria AND viruses. Antibiotics are not able to do this. Certain Essential Oils containing sesquiterpenes are capable of passing the blood-brain barrier. Some of these include Cedarwood, Vetiver, and Sandalwood. Don't want to wait to see if you've won to experience doTERRA Essential Oils? 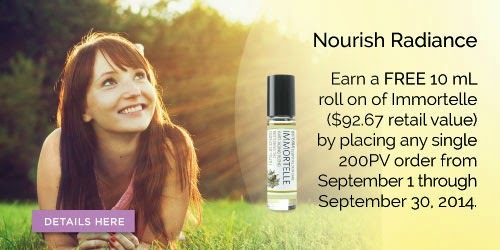 Immortelle is a blend of Frankincense, Helichrysum, Lavender, Myrrh, Rose, and Sandalwood. It supports skin at a cellular level to sustain smoother, more radiant and youthful skin. Interested in even greater savings and more FREE gifts? Why enroll with a wholesale account? No obligation to order monthly or to participate in the business opportunity. Disclaimer: This blog is for educational purposes only. Please consult your trusted healthcare provider before making any decisions about your health. Garnier Olia is an oil powered permanent hair color that leaves hair feeling softer and healthier in addition to coloring it. It is ammonia free and the scent is fairly mild, making to wait while is sits in your hair much easier. I let Monster choose the color I used and she picked a shade close to my natural hair color so I can't speak much for how well it covered but I did have one grey hair in the front that was successfully dyed as I was no longer able to find it. My hair was much softer and shinier after using Garnier Olia hair color. The 60% oil blend worked hard at restoring damage; a nice change since hair color is usually so hard on hair. My hair remained soft for around two weeks after use. Disclaimer: I am a BzzAgent and received product coupons, however, all opinions are my own. I am so excited that I was selected to receive the Sugar 'N Spice VoxBox full of goodies to try out. I am even more excited that now I get to share my experience with you. My favorite product that was included is the Colgate Optic White System. I love the toothbrush design; it gets into all the little nooks and crannies. The tongue cleaner is nice too. The toothpaste and mouthwash have a fresh minty flavor that leaves my mouth feeling nice and clean. The mouthwash did feel a little strange while it was doing its powerful whitening thing and I felt like it was difficult to spit it all out when I was finished. But I suppose that's a small price to pay for whiter teeth in days! Yes, days. I have been using this trio for less than a week and my teeth are already noticeable whiter. Another product I really loved was the Vaseline Spray and Go Lotion. I'm not usually a fan of scented lotion so I first thought that I was going to hate it strictly because it smelled. It turned out to have a light pleasant scent that I actually like. I must say I am a huge fan of spray-on lotion. With two little kids its hard to find much "me time" so my showers are generally rushed. Many days I skip lotion all together in the rush of things. Vaseline Spray and Go Lotion is a breeze to apply. In a matter of seconds you can lotion your entire body and there is no waiting period for it to dry so you can get dressed right away too. The Sugar 'N Spice VoxBox also included belVita Breakfast Biscuits were were delicious. My daughter got a hold of them and ate half. She even asked me to buy more, which I will be doing. Aside from tasting great I love that they are free of high-fructose corn syrup, partially hydrogenated oils, and artificial flavors and sweeteners. They have 18-20 grams of whole grain to give you energy to start your day. These are perfect for busy mornings when you still want to eat a healthy breakfast. Dickenson's Witch Hazel Oil Controlling Towelettes were also in the box. I have only been using those for a few days as well but so far I can say that it leaves my soft and clean. They would also be convenient for traveling or to throw in your gym bag. The final product I get to tell you about is Nectresse Sweetener. I tried this in my coffee and I was pretty happy with it. It didn't taste fake or leave a funky after taste in my mouth. I like that it is a natural sweetener derived from monk fruit. There are enough artificial sweeteners in the foods I eat and I know I'm getting more than I would like even though I have been trying to limit them. As any cloth diapering momma with tell you, hand washing diapers is a lot of work. We do not have a washer and dryer in our apartment, and washing diapers at the laundromat would be expensive, so I wash them my hand about 95% of the time. It was getting late last night as a stood over the bathroom sink scrubby dirty diapers. Usually I don't mind much, but between my hands getting sore and the overwhelming desire to take a hot shower and curl up in bed I threw the diapers into the tub and began multi-tasking. I got to take a hot shower and the diapers practically rinsed themselves (okay, I was stomping them pretty much the whole time, but still). I'm not sure I will make a habit of it, but it was a much faster and easier route to rinsing diapers than I am used to! Glade Expressions fragrances are stylish, refillable air fresheners. My favorite feature of the diffuser is that it is spill proof. Normally I would be worried to use an oil diffuser with small children in the house who get into everything, but this one has been pushed to the floor numerous times without a single incidence of spilled oil. It is designed so that the container of oil snaps into the black base so when it fell everything stayed together with no problem. I tried the Pineapple & Mangosteen scent. I normally would not consider a Hawaiian scent but I was pleasantly surprised by this product! It is not overpowering or "fakey". I have been using it for over three weeks now and I can still smell it when I walk into the room. I also like that it does not have to be plugged in. Another safety feature with the kids around. I also tried the Lavender & Juniper Berry Fragrance Mist. With the removable label, it does not look tacky if left out, however it is not as decorative as the oil diffuser. The scent is sweet and flowery. I thought that it smelled good but it is not long lasting, so this product would be better to use as needed. This prize pack would make a great addition to anyone's stash and it has everything you would need to start cloth diapering! Disclaimer: I received no compensation for this publication. My opinions are my own and may differ from those of your own. Staying Sane As Momma is not responsible for shipping prize to winner, nor did I accept any compensation for this promotion. Please be sure to cover the transfer fee on Paypal (i.e. you purchase 2 links totaling $2, make sure you cover Paypal's fee of $0.36 - fees are 2.9% of money sent plus $0.30), if you are unsure of the fee cost before sending money you can email karine@sahmofdramaqueens.com. Discloser: Site contains affiliate links, your support is appriciated. Powered by Blogger.